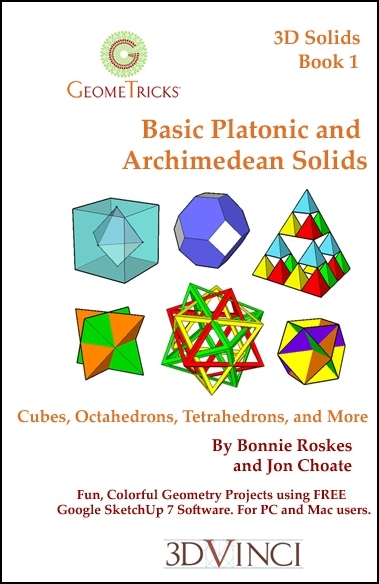 With this book, you will learn several ways to build three of the Platonic solids (cube, octahedron, tetrahedron), and explore what else can be done with these objects. You'll find duals, create some Archimedean solids, and learn ways to make interesting and fun objects by performing some simple modifications. All geometry is created in Google SketchUp 7 - a free, easy-to-use 3D modeling application. For both Mac and PC users. View chapter details.